When it comes to baking, biscotti isn’t something I gravitate towards. 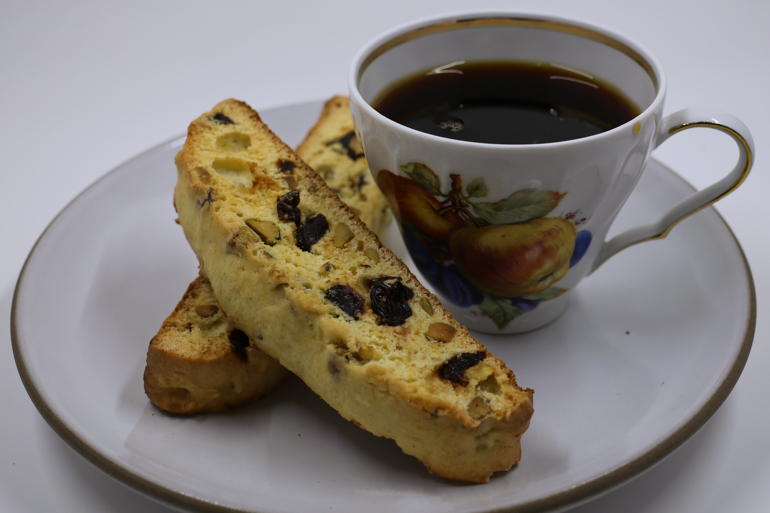 Commercial biscotti is usually mediocre – crumbly and dry and not very flavorful. I’m not a big coffee drinker, but even if I were, I don’t think I’d have it with biscotti. I guess I just don’t see the point. I’d rather have a chocolate chip cookie. But since this is one of the handful of recipes I haven’t made from New Frontiers, I forged ahead. They’re very simple to make, barely any mess in the kitchen. That’s a plus. 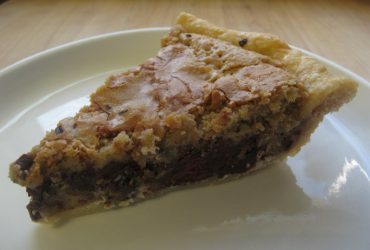 The primary recipe is for hazelnut cinnamon, but no thanks to hazelnut, and yes to pistachio and dried tart cherries. 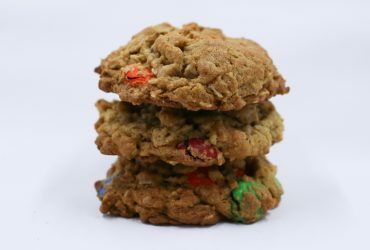 These cookies are crisp but not dry and crumbly, and they taste pretty good. I’d like a little bit of lemon zest mixed into the batter, perhaps. Not something I’d make again and again, but still, not bad.